Believing Fabric Collection Architex architex-ljh.com This new collection of Crypton contract upholstery fabrics by Architex includes 69 options for hospitality, office, and healthcare interiors. Woven in a polyester-acrylic blend, the Believing Collection includes nine patterns inspired by places and objects including the famous Imagine Circle at the Strawberry Fields Memorial in Central Park, antique watches from the Museum for Islamic Art, and the structure of a Santiago Calatrava bridge. The GreenGuard Gold certified fabrics are stain-resistant, bleach-cleanable, anti-microbial, and feature a moisture barrier. Ready-Made Sinks DuPont Corian dupont.com DuPont Corian has expanded its range to include 35 ready-made sinks for homes, health care, food service spaces, and other public areas. 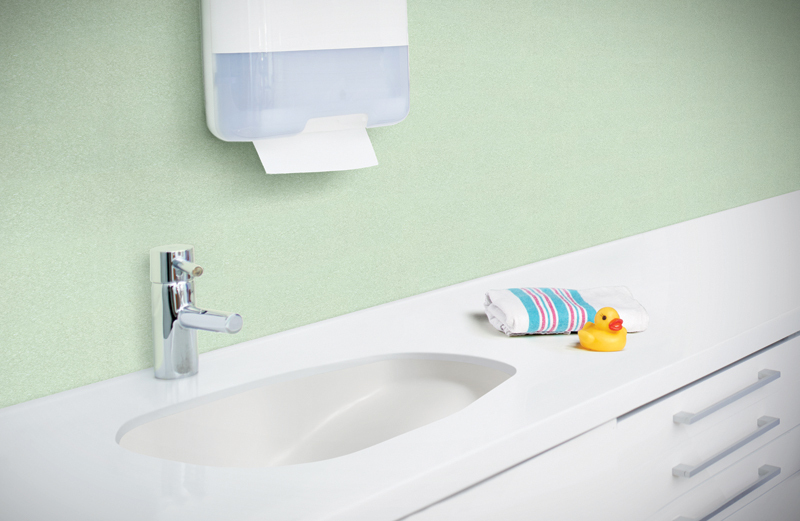 Introductions for the commercial market include a round sink ideal for dental procedure rooms, a baby bath for neonatal hospital settings, an ADA-compliant rectangular sink, and two square sinks with offset drain placement to minimize splashing. The nonporous Corian sinks feature seamless integration into surface tops and promote a hygienic environment critical in healthcare settings. Ava Recliner Nemschoff Nemschoff.com Designers David Ritch and Mark Saffell of 5D Studio studied the workflow in different care environments and incorporated input from nurses and clinicians to create this compact recliner for Nemschoff. 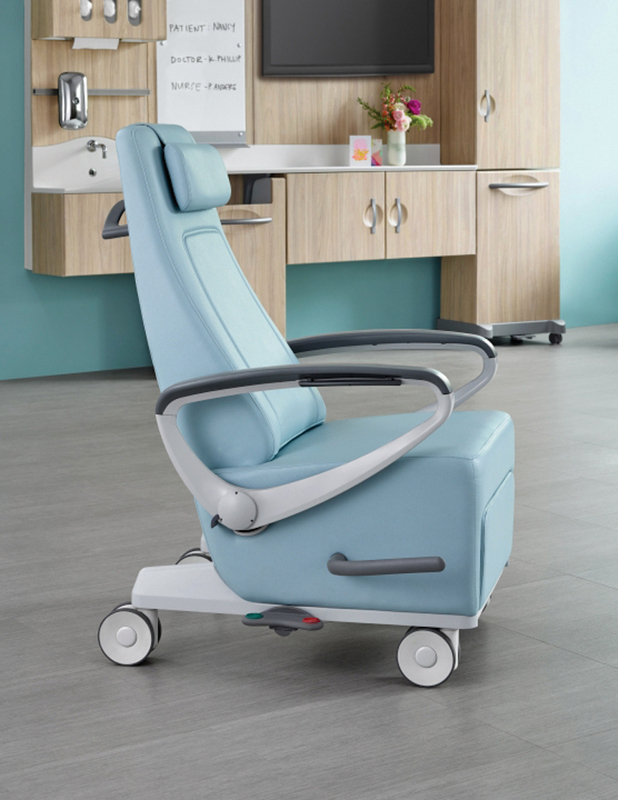 A departure from typical recliners, Ava’s reduced footprint is designed to operate easily, even in small patient rooms. Ava features dual arm controls, pivoting arms to facilitate side transfers, central brake-and-steer, and a lay-flat recline. An open design and enclosed casters are included for easier cleanability in healthcare settings. 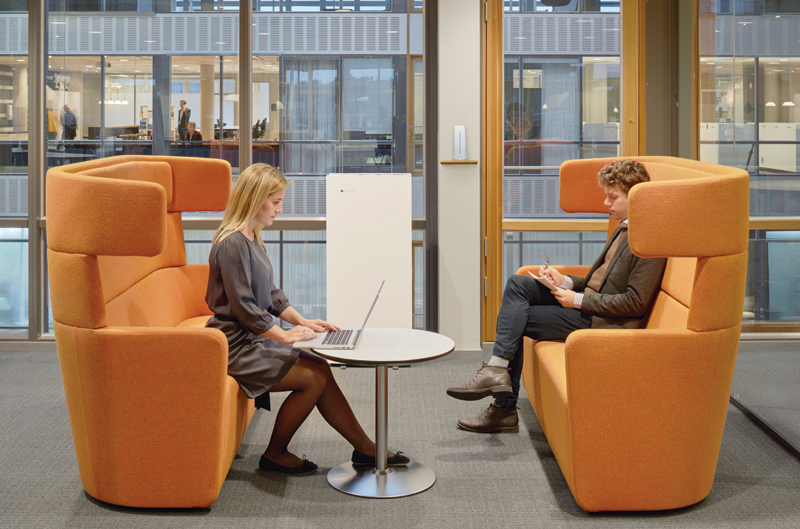 Pro XL Series Blueair blueair.com According to Blueair, the Pro XL series for commercial interiors can provide cleaner air than any other stand-alone air purifier. Available for rooms up to 1,180 sf, the purifier automatically tests particle and gas levels in indoor air and adjusts the fan speed to maintain the optimal clean-air environment. It is available with two HEPASilent filters: a standard Particle Filter for removing particle pollutants such as bacteria, viruses, pet dander, dust, and pollen; and the Blueair SmokeStop Filter to rid an area of gaseous pollutants such as VOCs (volatile organic compounds), tobacco smoke, and particles. Southmead Hospital Rockfon Rockfon.com For the Southmead Hospital project in Bristol, England, the architects at BDP wanted to avoid the square look of typical suspended ceilings by means of a high-performing system that would reflect light and reduce the energy needs of artificial lighting. 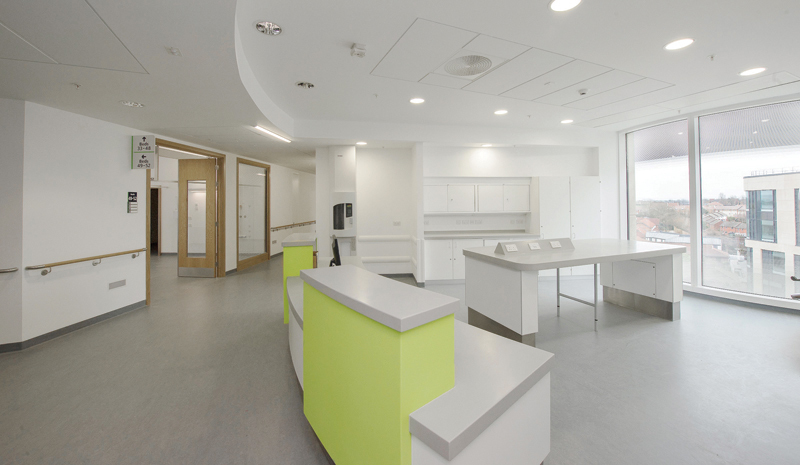 The contractors at Carillion met both demands with Rockfon Medical stone wool ceiling tiles with concealed edges to create a uniform look and achieve an 86 percent light reflection. The Medical range fulfills the cleaning and hygienic demands of healthcare environments and does not contribute to the growth of MRSA. Rampart Wolf-Gordon wolfgordon.com Rampart is a collection of impact-resistant wall protection products for high-traffic commercial interiors. An alternative to rigid sheet goods, Rampart is engineered for medium- to heavy-traffic areas where protection against scratches, dents, and scrapes is a concern. Thicker and more durable than Type II wall coverings, Rampart features a heavy-duty construction and specially formulated finish that can be cleaned with soap and water or a variety of cleaning agents, disinfectants, and phenols. 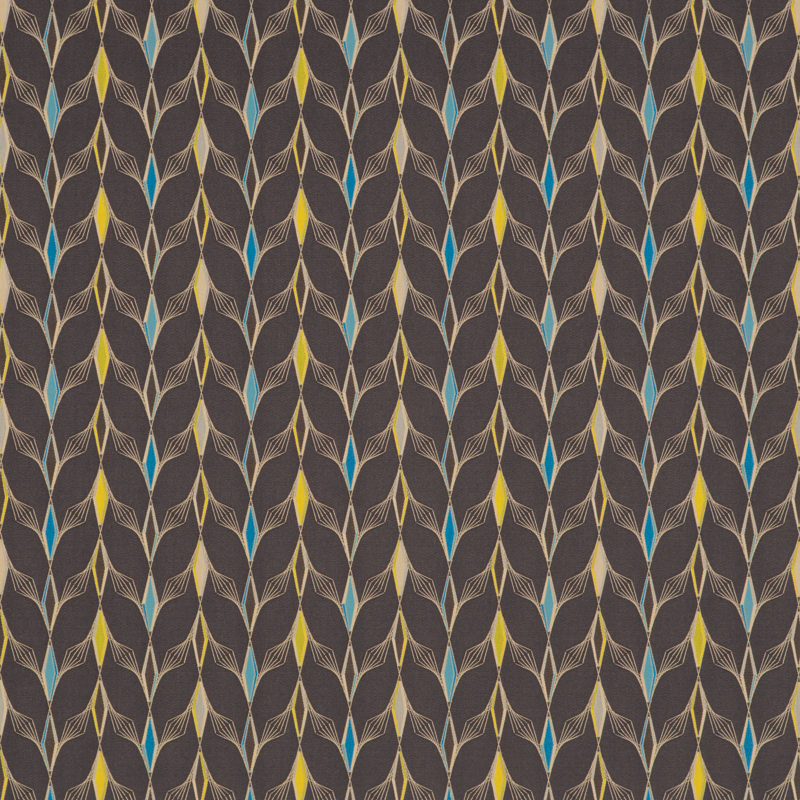 The 54-in-wide wall covering is offered in five original patterns in a range of colorways. These products combine aesthetics, cleanability, patient and caretaker comfort, and durability to help promote wellness in healthcare environments.